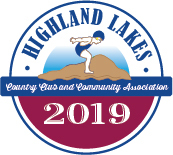 Highland Lakes Country Club and Community Association maintains a Security Department comprised of a full-time Security Manager and part-time Security Officers. 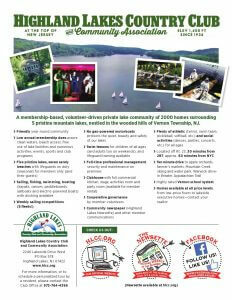 Since its inception in the 1950s, Highland Lakes Security has served our community in various ways, including, but not limited to: Removal of trespassers; investigation of neighborhood complaints; delivery of emergency medical services; anti-burglary patrols and traffic duty in conjunction with the Vernon Police Department. Our security staff is equipped with – and trained in the operation of – an automatic external defibrillator (AED) unit, and receives annual training and certifications in oxygen administration, first aid, and CPR. Highland Lakes Security responds to all ambulance calls and, in many cases, is often the first on the scene, and is equipped to deliver necessary assistance until emergency medical personnel arrive. 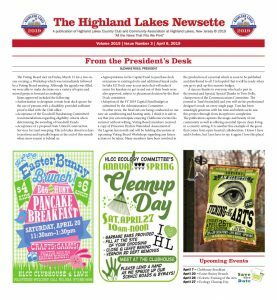 In recent years, the scope of services provided by the dedicated staff of Highland Lakes Security expanded to include tours of the community with Vernon Township and Sussex County zoning and health officials, sponsorship of Child Safety Day in cooperation with the Vernon Police Department, coordination with New Jersey wildlife specialists in addressing bear management issues, and the enforcement of the prohibition against the operation of all terrain vehicles on the Club’s roadways and properties. Additional support in the Club’s efforts against trespassing comes from three other sources: our volunteer badge checkers (who are irreplaceable), our lifeguards, and you. We like to say that all members are badge checkers. When on Club property such as the beaches, tennis courts, the lakes, etc., we encourage you to ask politely to see peoples’ badges. In most cases, members will gladly show you their badge. Only through the efforts of all of us – Members, Security, Badge Checkers and Lifeguards – can we protect the private nature of our community. Reports of suspicious persons, illegal outdoor burning, dangerous utility wires, etc. should be reported to the Vernon Police Department at (973) 764-6155, not Highland Lakes Security. All emergencies should be reported by dialing 9-1-1.